This is the absolute, BEST carrot cake that I’ve ever had. Period. The flavor, moistness, and texture is to die for. One bite into this recipe and you will know what I mean! A piece of the BEST Carrot Cake recipe ready to be eaten. I am not a big fan of cake in general. In fact, I would choose to eat a fudge brownie anytime over a piece of white or chocolate cake. However, when someone offers me a piece of carrot cake, I never turn it down. There is just something about taking a bite into a moist and delicious cake that is topped with the perfect amount of icing. Be sure to whisk the dry ingredients to remove any clumps. Every bite has a burst of flavor in your mouth that sends chills down your spine. Plus, I tell myself that it is healthier than other cakes because one of the main ingredients is a vegetable. So how do you get the cake so moist? Crushed pineapple and natural applesauce makes this carrot cake extremely moist. Most traditional cakes are made using oil, butter, or a combination of both. These ingredients cause the cake to crisp up and dry out when baked. Which is perfectly acceptable for many types of cake. However for this recipe, we prefer to use neither oil or butter. All of the moisture comes from the combination of natural applesauce and crushed pineapples. Not only do these two ingredients provide the perfect amount of moisture in the carrot cake. They also add another subtle layer of flavor in each bite. 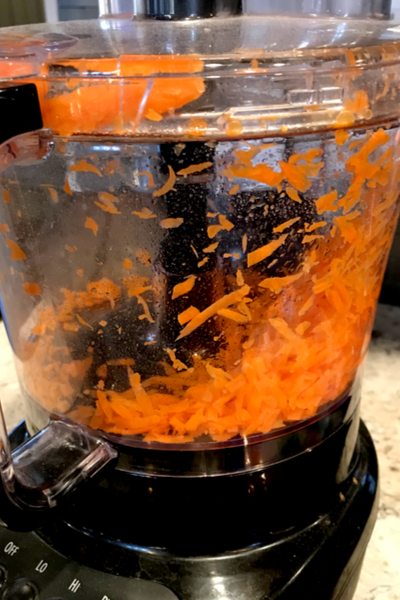 We love our Hamilton Beach Duo Food processor to make easy work at shredding the carrots. Of course, the one thing you must do before you add the carrots to the cake is shred them. You basically have three options. You can purchase shredded carrots in most grocery stores. Or you can use the old-fashioned box grater and risk losing a little skin off your knuckles. Your third option is to use a Food Processor to do all of the hard work for you! 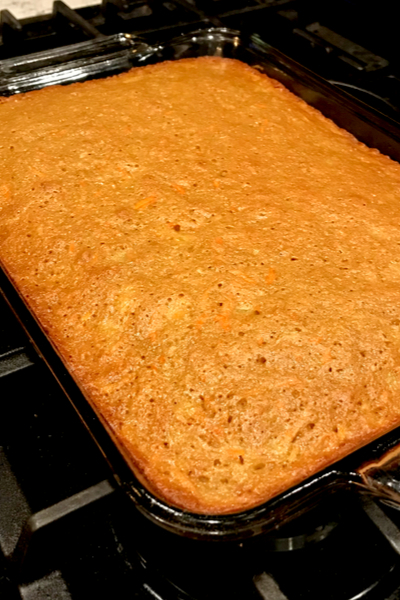 Three handfuls of large baby carrots makes the perfect amount to be added to the cake. 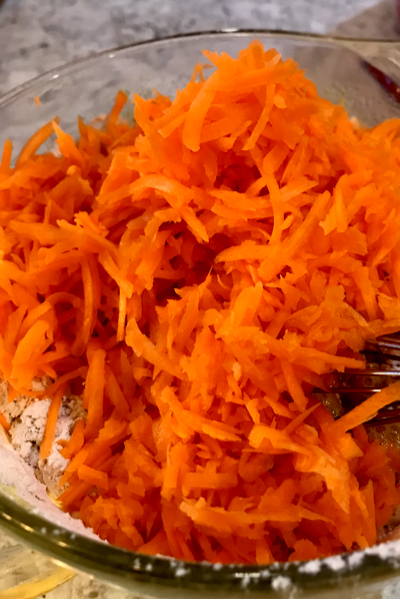 We prefer to shred our carrots using our Hamilton Beach Duo Food Processor. It makes such quick work of the process. Three handfuls of large baby carrots usually is enough to make the 3 cups of shredded carrots that is required. The carrot cake is baked and ready to cool before adding the icing. 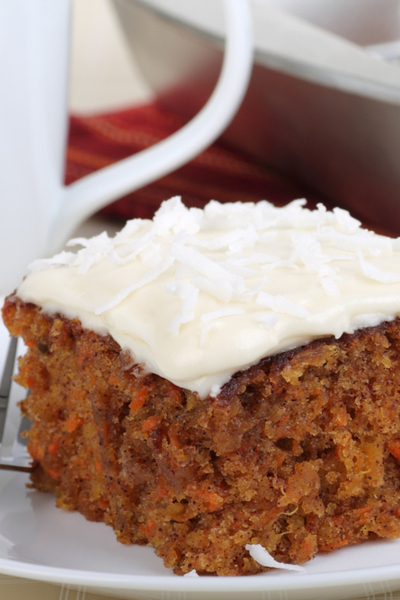 Do yourself a favor and give this Homemade Carrot Cake recipe a try! I am confident that you and your family will love it just as much as we do! Check out the printable recipe below and let me know what you think! Add the cream cheese icing on top and Enjoy! Moist and delicious carrot cake made using no oil and sweetened with crushed pineapple for the perfect dessert. Preheat oven to 350°F. Prepare a 9×13 baking pan by spraying with non-stick cooking spray and set aside. 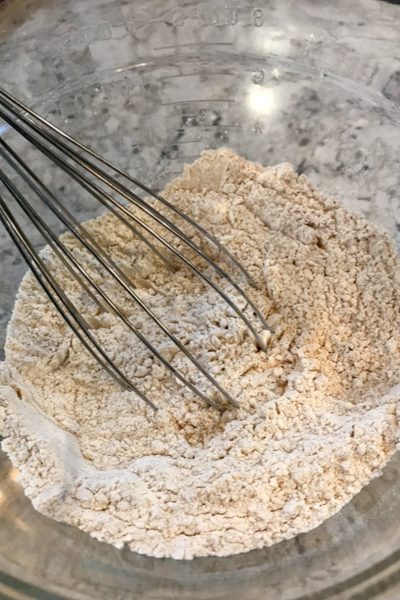 In a large mixing bowl, whisk together the flour, baking powder, baking soda, cinnamon, ginger, nutmeg, and salt until well combined. Set aside. 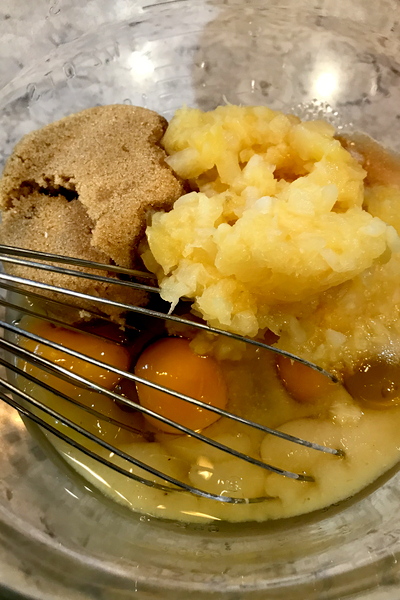 In another large bowl, whisk together the applesauce, eggs, brown sugar, granulated sugar, crushed pineapple, and vanilla extract until fully combined. Add the grated carrots and chopped walnuts and raisins if using to the wet ingredients. Stir until well combined. With a whisk or rubber spatula add the dry ingredients to the wet ingredients until just combined. Do not overmix the batter. 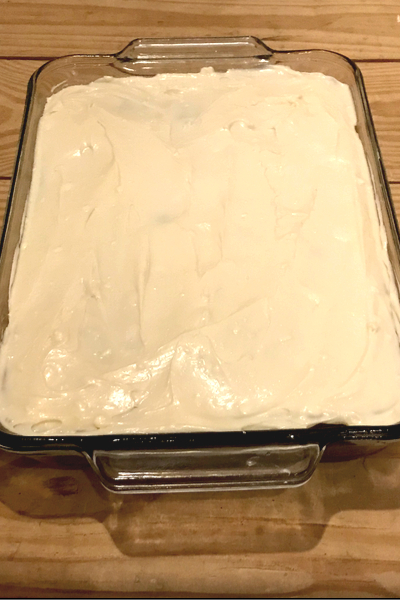 Pour the batter into the prepared baking pan and bake for 40-45 minutes or until a toothpick inserted into the center of the cake comes out clean. If the top begins to brown too much, cover with aluminum foil. Remove from the oven and let cool on a cooling rack. Using the paddle attachment of a stand mixer, or using a hand-held mixer, beat the cream cheese until smooth. Add the butter and mix until well combined. Add the powdered sugar and vanilla extract and continue mixing until combined, scraping down the sides of the bowl as needed. Using an offset spatula, spread the frosting on the completely cooled carrot cake.